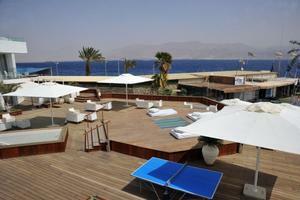 Extra large and comfortable rooms of the Reef combined with reasonable prices have made this one of Eilat's most popular venues, especially favored by Israelis & visitors from abroad. All rooms have ample cupboard space and balconies with sea view,pool view,other view Reef's large rooms are all equipped with a refrigerator, direct dial telephone, radio, TV and living room. 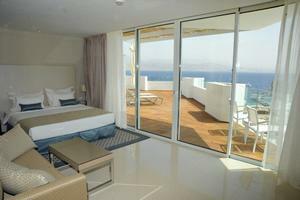 The Suites have Jacuzzi, balcony with sea view . located on the coral beach at the southern side of the city.